The Total Periodontal Laser Solution for minimally invasive removal of subgingival inflamed tissue and calculus deposits. 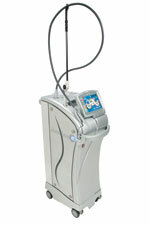 Deep Pocket Therapy (DPT) with New Attachment™ using the Waterlase MD™ Turbo laser and patented Radial Firing Perio Tip™ (RFPT) is a minimally invasive, FDA-cleared, therapy for moderate to advanced gum disease that promotes cementum-mediated periodontal ligament new-attachment to the root surface in the absence of long junctional epithelium. According to the Centers for Disease Control and Prevention, gum disease is the most prevalent disease in the world today. Many researchers suspect that gum disease may also be directly linked to heart disease and strokes. Unfortunately, it is perhaps the least diagnosed and treated of all diseases of comparable magnitude. The biggest reason for this may be that it is a somewhat silent disease, and pain and discomfort only occur in its latter stages. By that time, significant bone loss has already occurred. Gum disease is caused by specific strains of bacteria. There are special ways that a patient can be tested for these bacteria in the dental office. New technology allows us to test for them before damage occurs. Genetics are also another predisposing factor. Genetic testing is available, yet has not been proven to be particularly advantageous. So, let’s say you have been diagnosed with gum disease. How does that make you feel? Concerned, in disbelief, frustrated? Many of my patients express these feelings. “How could this happen?” they ask. They brush and floss. In fact, in some case the reason they don’t regularly visit the dentist is because they don’t seem to have any problems. Again, gum disease is caused by a bacterial infection. Those affected will require professional assistance to diagnose and treat the disease, and to maintain their health. Currently, gum disease is not curable, but it is controllable. Because of the growth rate of the bacteria involved, those diagnosed with the disease need to see their dentist every 90 days. Treatment for gum disease ranges from quite simple to quite extensive. The initial treatment involves deep cleaning of gum pockets and perhaps even immune system enhancement with nutraceuticals (nutritional supplements) dispensed by the practitioner. These have no side effects and are not costly. Advanced treatment can include bone and soft tissue grafting, conventional flap surgery, extractions, and laser therapy. Requires little to no pain medications after treatment (usually nothing stronger than ibuprofen). Typically, patients can return to work the next day and notice remarkable changes in the gum tissues in the few days that follow. The objective in treating gum disease is to reduce the amount of bacteria present so that the body can do what it does best — heal. Once this is accomplished, and so long as the bacteria count is controlled to keep it at a reasonable level, a person’s natural defenses are strong enough to protect the body. So you may be asking yourself why I am so supportive of laser therapy. Well, yes, I do use it, and have for several years, and I have seen the results. But most importantly, I too am a periodontal patient, and can speak from personal experience. Our office exclusively uses the Biolase Waterlase in treatment of certain Periodontal Disease. 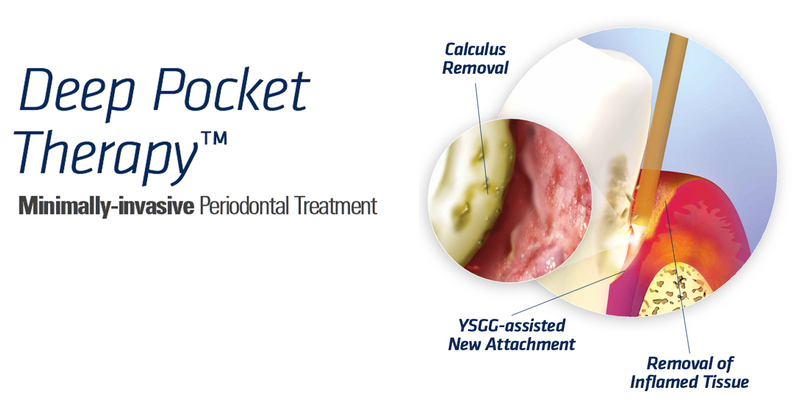 Deep Pocket Therapy (DPT) with New Attachment™ using the Waterlase MD™ laser and patented Radial Firing Perio Tip™ (RFPT) is a minimally invasive, FDA-cleared, therapy for moderate to advanced gum disease that promotes cementum-mediated periodontal ligament new-attachment to the root surface in the absence of long junctional epithelium. The YSGG laser energy of the Waterlase MD is especially effective for minimally invasive removal of both subgingival inflamed tissue and calculus deposits, to prepare the pocket and surface of the tooth for healing and new attachment. The Waterlase MD has FDA clearance for both of these indications. New literature supports the effectiveness of the 2,780 nm YSGG wavelength in the treatment of periodontal disease. Most periodontal lasers cut tissue using heat. 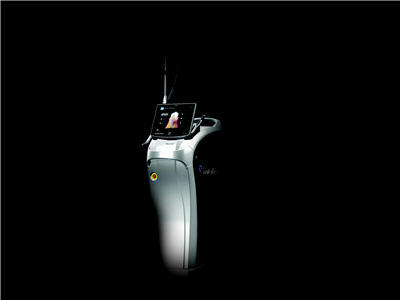 The Waterlase MD combines YSGG laser energy and a patented spray of water to cut soft tissue and bone without heat, with benefits reported such as less swelling and patient post-op sensitivity, for a better patient experience and greater case acceptance. In soft tissue mode, the 2,780 nm Er,Cr:YSGG Waterlase MD laser energy penetrates into tissues to seal blood vessels as it cuts, providing excellent hemostasis, which in turn provides a better field of vision during surgery.